HOUSTON -- Houston is very much an international city, which means you can find just about any kind of restaurant to dine at after your round of golf. The tender, juicy sliced brisket of Gatlin's BBQ & Catering. But let's be honest, when most people think of Texas, they're not talking about the great Japanese, seafood or Italian joints -- although Houston has many of those as well -- they're thinking Tex-Mex or barbecue. And if you're in Houston, barbecue is probably the way to go, although the city certainly has its share of good Mexican restaurants as well. The family-owned Gatlin BBQ & Catering is one of the best in Houston and perfect after a round at Memorial Park or Hermann Park golf courses in the heart of the city. Located at 1221 W. 19th Street in the Heights, the brisket may be the best in the city with or without sauce. Kudos to the authentic dirty rice as well as the rustic atmosphere. The brisket at Goode Co. is an acquired taste -- a little salty and spicy, but that's not what Goode is necessarily known for. Standard fare is the jalapeno cheese bread and meat-filled rice. Seating inside is limited at the 5109 Kirby location, so more than likely you'll have to find a spot outside on the picnic tables. 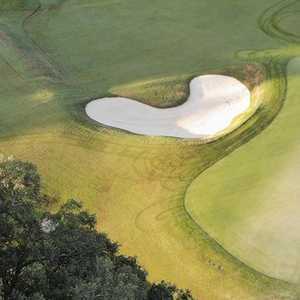 Still, it's authentically Houston and not too far from Houston's south central golf courses, including Wildcat Golf Club and Clear Creek Golf Course. It probably isn't worth it just to make a trip just for the barbecue, but if you're playing Stephen F. Austin Golf Club or the 27-hole River Ridge Golf Club, it's certainly worth planning a little extra time to get a barbecue sandwich and some other fixins at Hinze's Barbecue in Sealy. Located off of Highway 6 on the way to Galveston, Joe's Barbeque Company has a solid assortment of meats, sides and deserts. The peach cobbler and ice cream are particularly good. 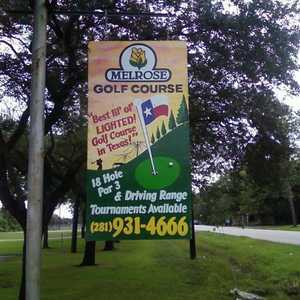 And if you go another 10 miles south, you'll run into the beaches of Galveston and Moody Gardens Golf Course, which was renovated a few years and is the only all-paspalum golf course in the area. If you are heading out to The Falls Resort & Golf Club in New Ulm, west of Houston, you should stop by Mikeska Bar-B-Q in Columbus on Interstate 10 because it's on the way. You'll get a real Texas flavor here with animal trophies on the wall and plenty of flavorful brisket, sausage, chicken and great sides. Pappas, which owned by the family-run Pappas Bros. restaurant company that also includes Pappasito's and Pappadeaux Seafood Kitchen, is Houston's most prolific barbecue chain with 16 locations throughout the city. All the food is above average and very affordable. One of the best items is the baked potato stuffed with chopped beef and the rest of the works. Homemade desserts like banana pudding top off the experience. Rudy's Country Store isn't uniquely Houston, but it is definitely worth mentioning. There are locations in Spring, Cypress, west Houston and League City near NASA. They're always busy and it's pretty consistent with its slow-smoked brisket, ribs, sausage and terrific breakfast tacos. Though they've only been in Houston a few years, like all Rudy's in Texas, they have a gas-station motif and TVs inside for watching games. More important, though, they're located near many of the Houston area courses, including Cypresswood Golf Club and the public courses in The Woodlands on the north side, Houston National Golf Club and Cypress Lakes Golf Club off the Northwest Freeway, The Golf Club at Cinco Ranch near I-10 West and Pearland Golf Club at Country Place in Pearland south of town.